How did I end up here, on the island of Hangnaamedhoo? Well, to answer this, I need to bring you back to 3 months before when I was doing research for this Maldives trip. 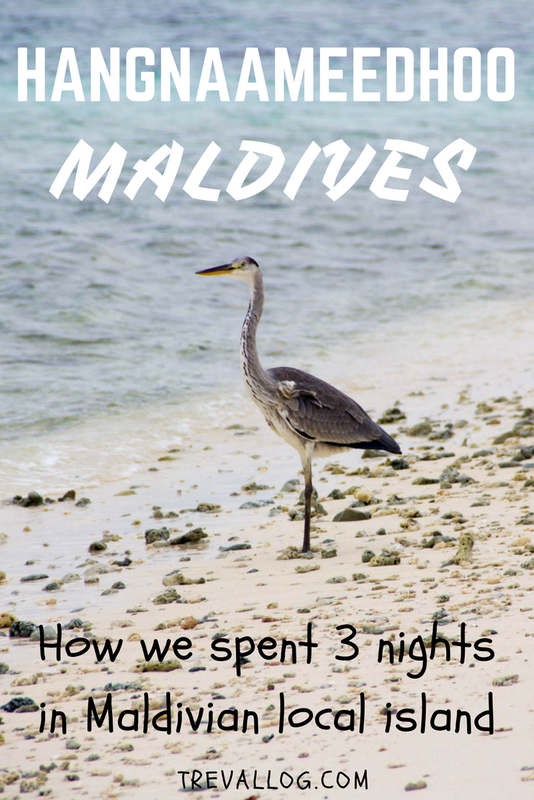 Back then, I was facing a “trip planning burnout” as I was overwhelmed with the huge number of islands in Maldives and Atoll names that are kind of repetitive and confusing. 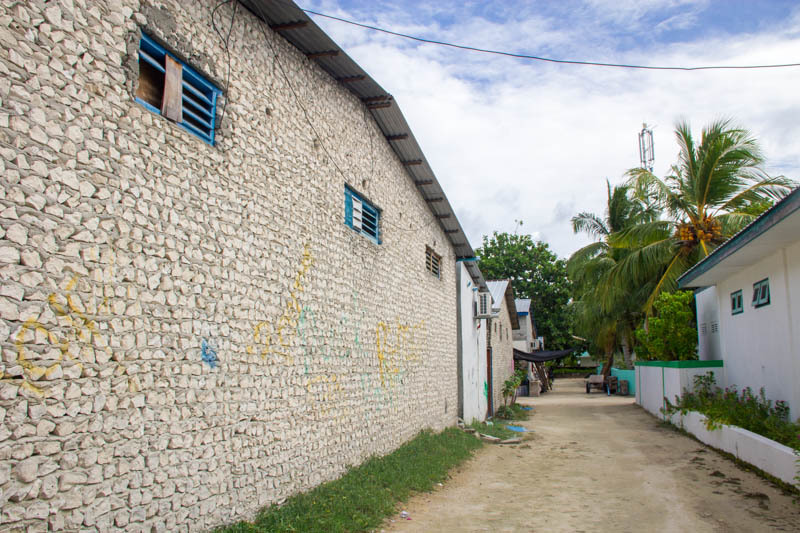 To understand my pain, try to make sense of this: There is an Atoll called Kaafu Atoll which is also known as Malé Atholhu, which consists of Malé Atoll and other islands. This Malé Atoll consists of North Malé Atoll and South Malé Atoll. Malé, the capital city of Maldives, is located in North Malé Atoll. 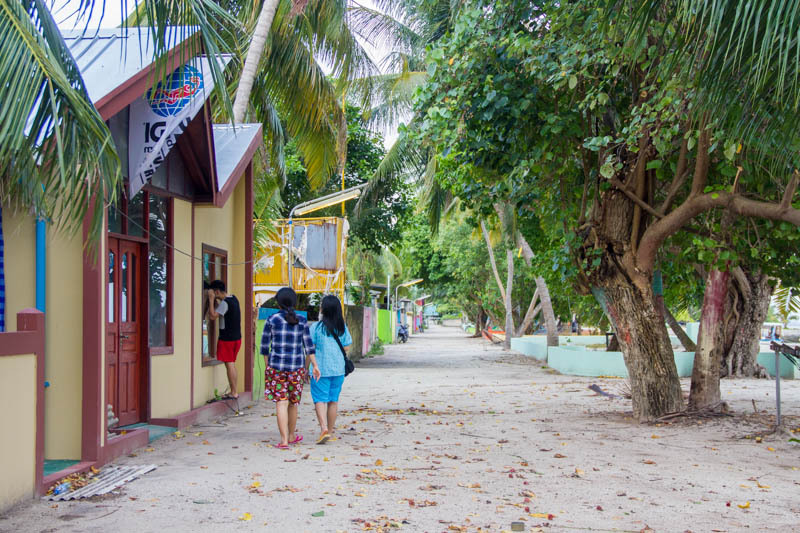 Kaafu Atoll’s capital is Thulusdhoo. Why is there a North Malé Atoll inside Malé Atoll inside Kaafu Atoll, when the total Atoll in Maldives is supposed to be only 26? It’s like saying there’s a province inside a province inside a province. I gave up my attempt to understand the naming system of Maldives. So, what I did next was searching for guesthouses in booking sites, such as Agoda, Booking.com and Airbnb. 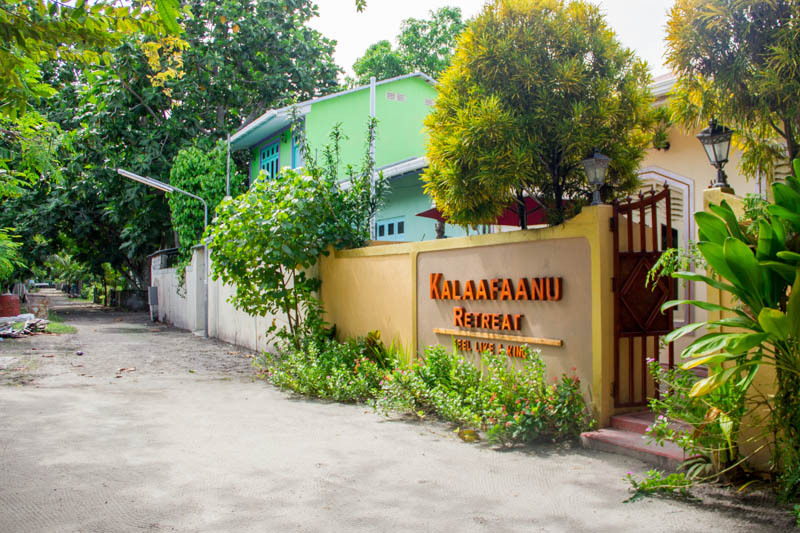 After hours of searching, I’m impressed with the good reviews of Kalaafaanu Retreat. The guesthouse has an informative website, it’s cheap, and it’s 5 freaking hours ferry ride from Malé! In my mind, the further it is away from Malé, the more secluded it is, the clearer the water is, and the more beautiful the corals are! 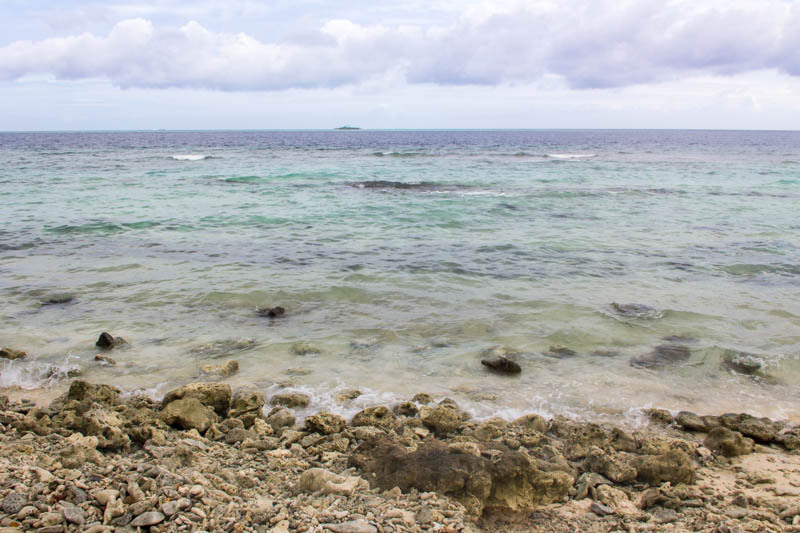 Plus, guests can snorkel in the house reef anywhere around the island, anytime they want, for as long as they wish! It’s too hard not to paint a picture of a perfect island in my head. I went ahead and booked 3 nights on the island from Airbnb. It cost me SGD 60 per room, per night, after service charge and coupon discount. Quite a bargain, right? 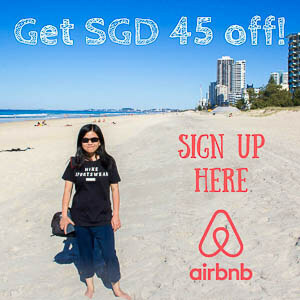 If you want SGD 45 coupon too, register your Airbnb account here. We stayed in Hulhumalé before traveling to Hangnaameedhoo. From Hulhumalé, we took a public ferry to Malé, then took a taxi to Villingili Ferry Terminal. 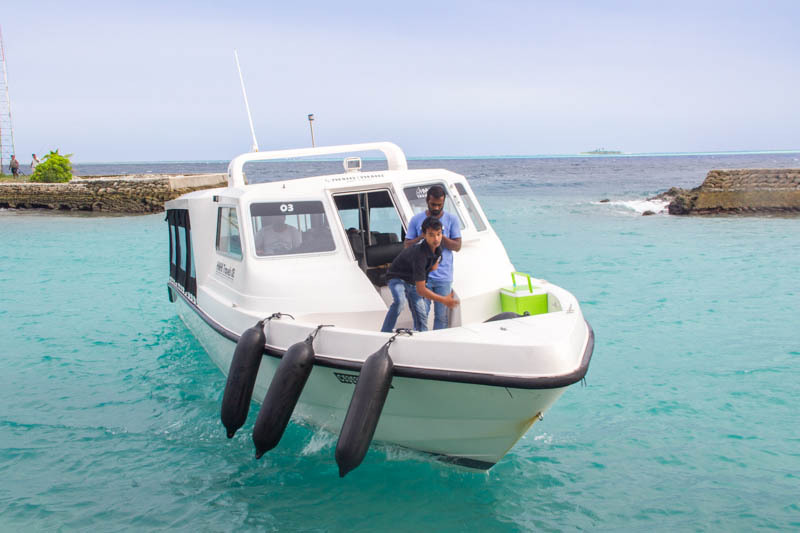 I wrote an article about how to get from Malé to Hangnaameedhoo, check it out for more details. In short, we took 5 hours public ferry from Malé to Hangnaameedhoo. Two staffs from Kalaafaanu Retreat picked us up from the jetty. One of them is called Hussain, who became our go-to-person during our 3-night stay on the island. The other guy loaded our luggage and bags onto a wheelbarrow and pushed it to the guesthouse. We were given welcome drinks and cold towels during the check-in. We left our slippers outside before stepping in. The bed in our room was nicely decorated with petals of flowers. The room came with 1 single bed and 1 double bed, enough for 3 people. The toilet, however, didn’t come with any toiletries, so we used our own toiletries. 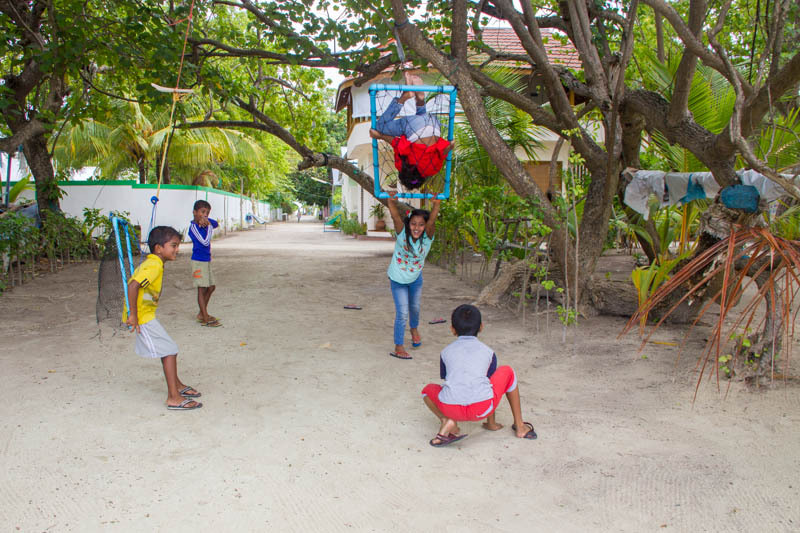 On the notice board, there were many activities and day trips that Kalaafaanu Retreat offers to its guests. There were snorkelling, diving, day fishing, night fishing with BBQ, day trip to Ellaidhoo Maldives, sailing and other activities. In iet island. The streets are empty and the density of people is sparse most of the time. We visited during the low season, so there weren’t many other tourists around. Half-constructed buildings are everywhere with few to no construction activities going on. It is really a secluded island. The streets are unpaved and uneven. They are basically compacted sand with a lot of puddles. When it rains, flood is unavoidable. 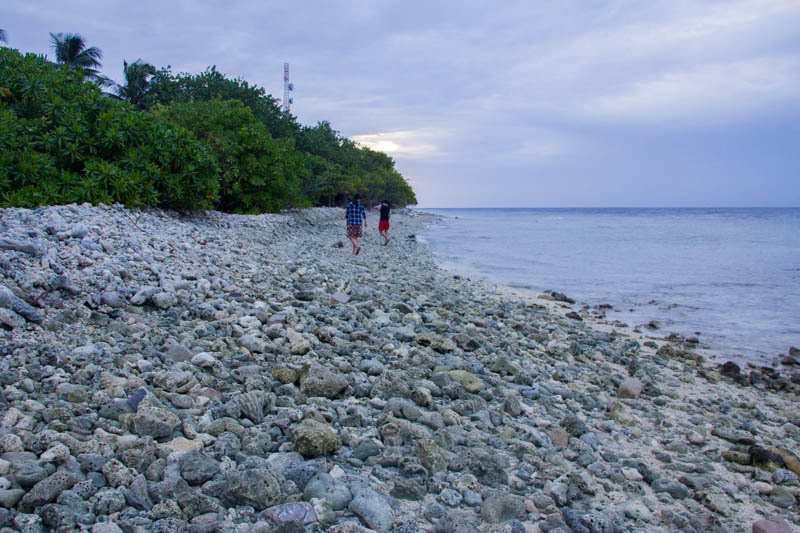 Since it’s a small island, you can walk from one end to the other in 15 minutes or less. Vehicles with engine aren’t necessary, but some locals go around the island with a motorcycle. There are convenient stores where you can buy mineral water for MVR 7, and other snacks at affordable prices. There’s a telecom tower on the island. We use Dhiraagu SIM Card in Maldives and we’re glad to report that the signal is good in Hangnaameedhoo. 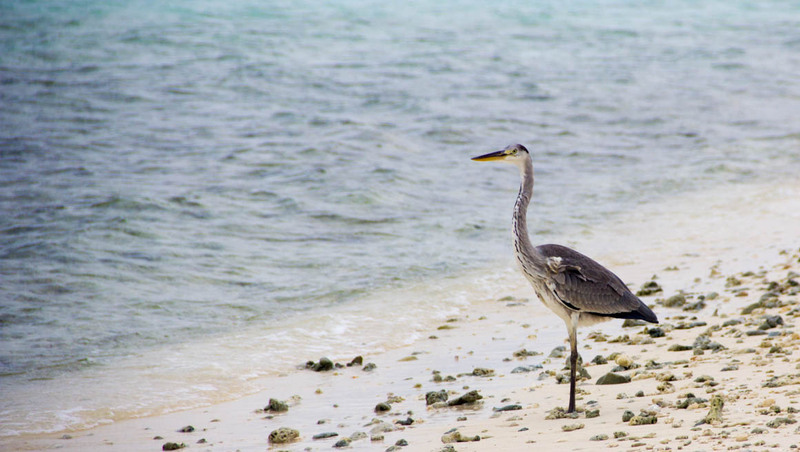 The wildlife in Hangnaameedhoo is phenomenal. 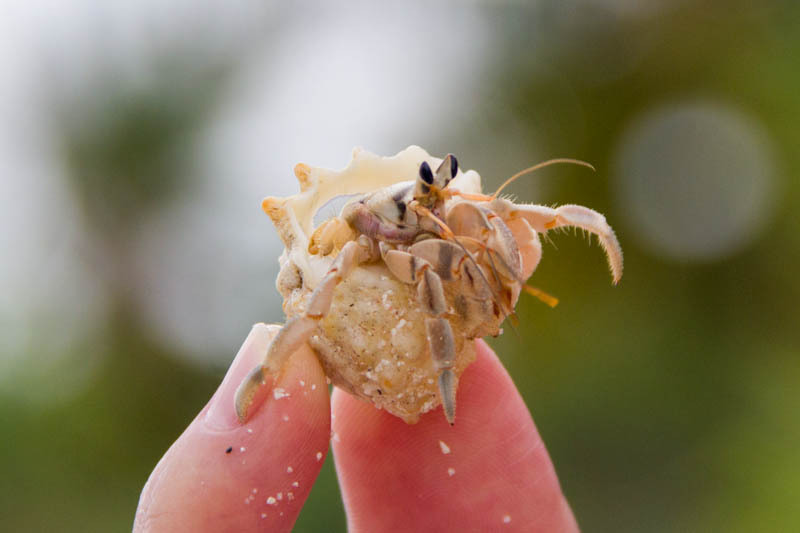 At the west beach, there were many hermit crabs. 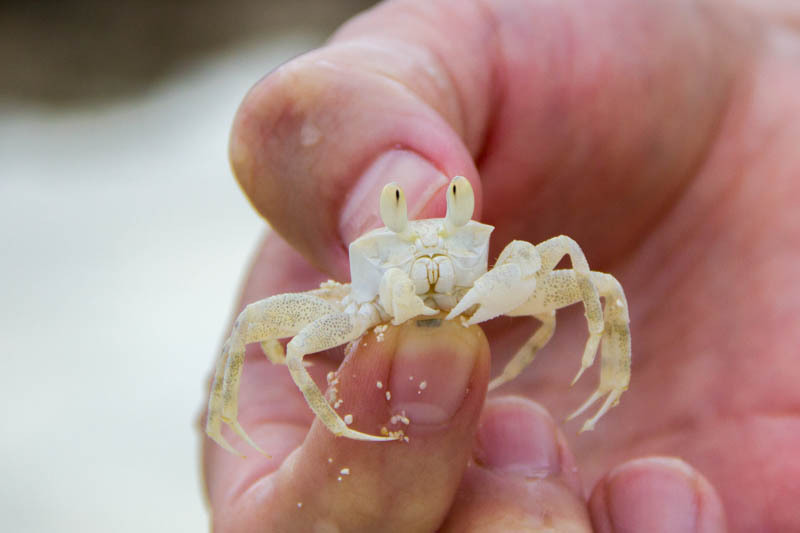 At the east beach, we spotted so many crabs roaming around. 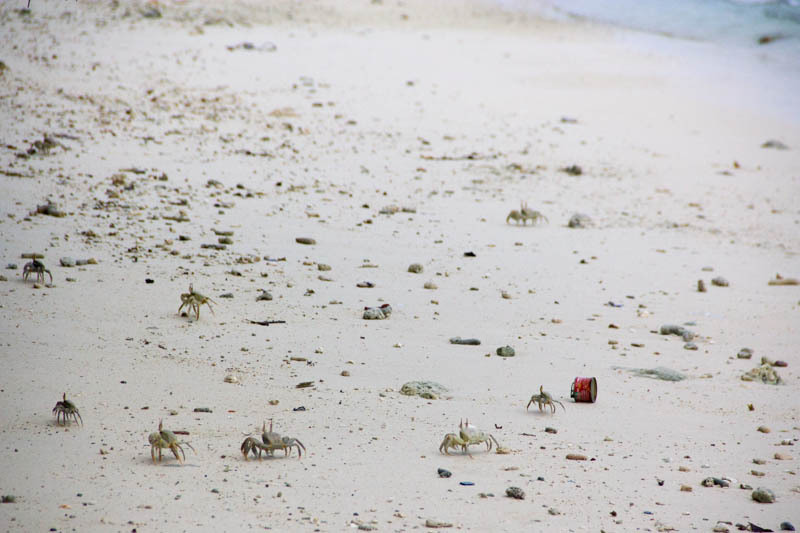 I’ve never seen so many crabs in my life and I was kind of scared for a moment. 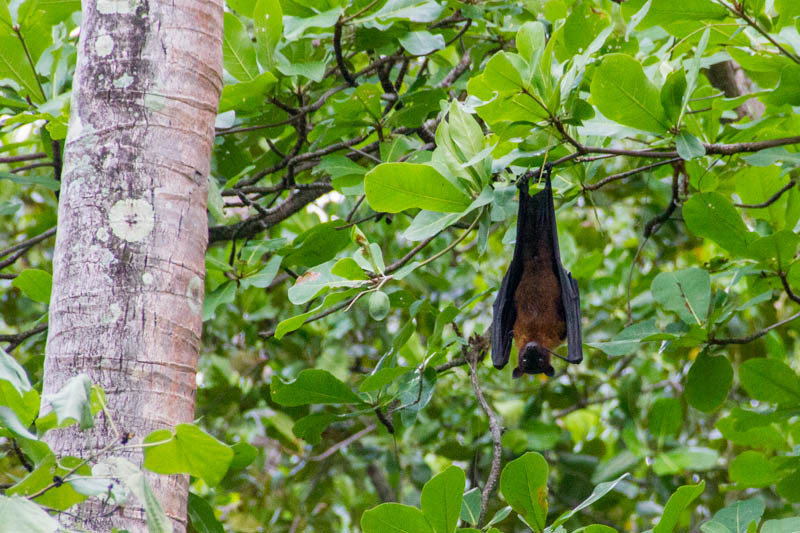 We also spotted a bird and a bat! Fish? They’re everywhere, including harbour where rubbish was present. What saddened me about the future of Hangnaameedhoo is its waste management. 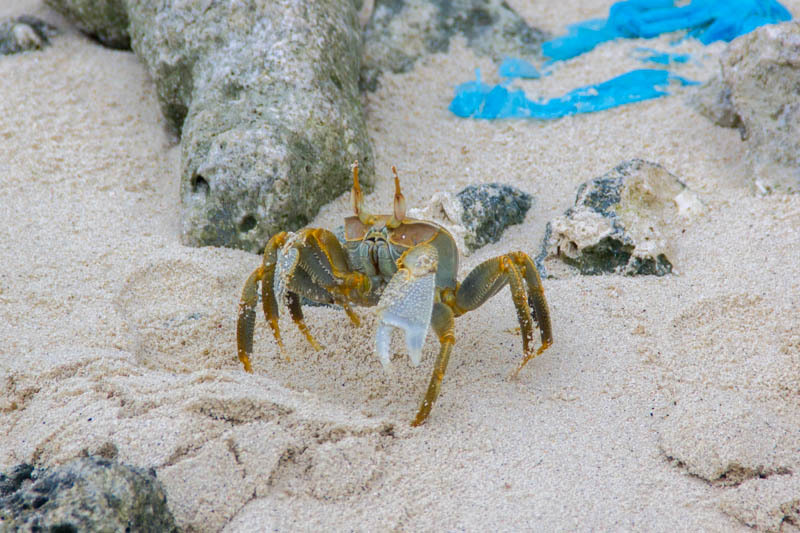 There was garbage almost everywhere, even at the east beach where the crabs were roaming. I do hope the government would take actions to clean up and implement a sustainable waste management. 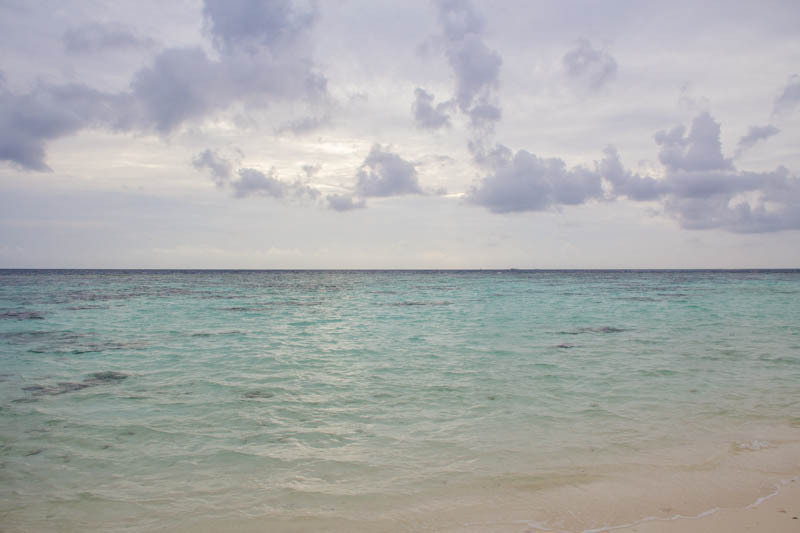 After all, Maldives can only stay beautiful if human beings do a great job protecting the environment. 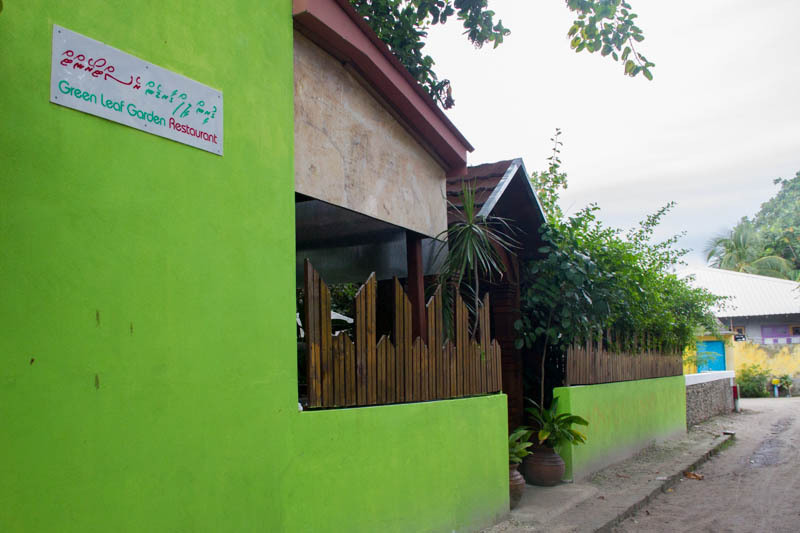 There’s only 1 rule for dining out in Hangnaameedhoo: be prepared to wait for 1 hour. What we usually did was placing our order 1 hour before we wanted to eat, then did our things elsewhere, then went back to the restaurant. It worked well most of the time! 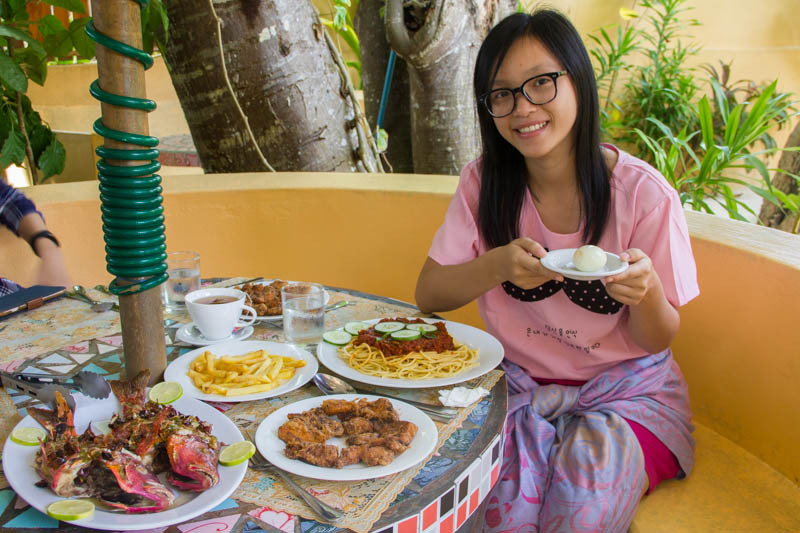 Our stay in Kalaafaanu included free daily breakfast, so we always ate breakfast at the guesthouse. The breakfast menu is pretty much the same everywhere in Maldives: toast with butter and jam, fried egg, and water. The breakfast was not prepared in advance, it was made upon order, so we had to wait for 20-30 minutes every morning. We also ate lunches in Kalaafaanu! 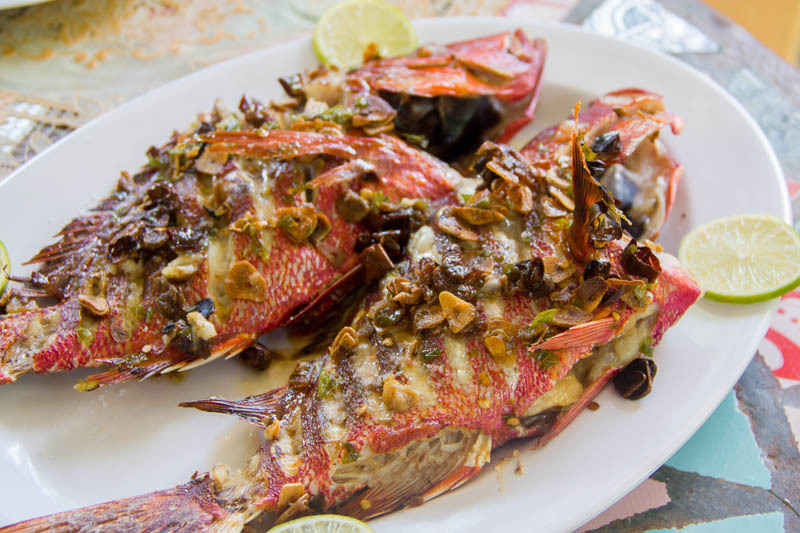 We tried a lot of their dishes and we had to say this: the best dish we ate was the reef grilled fish! Other dishes were good but not as mind-blowing as the reef grilled fish. A feast for the birthday girl! 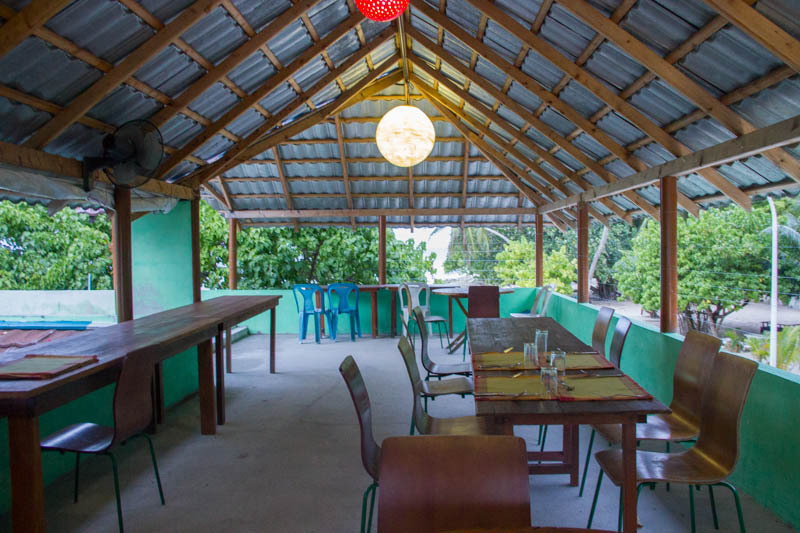 For dinners, we tried to explore other dining options in Hangnaameedhoo. 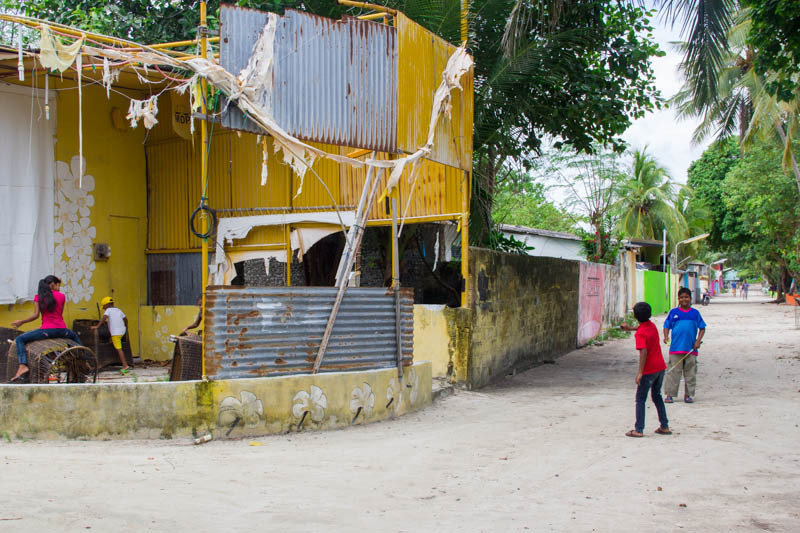 There were not many restaurants in Hangnaameedhoo. 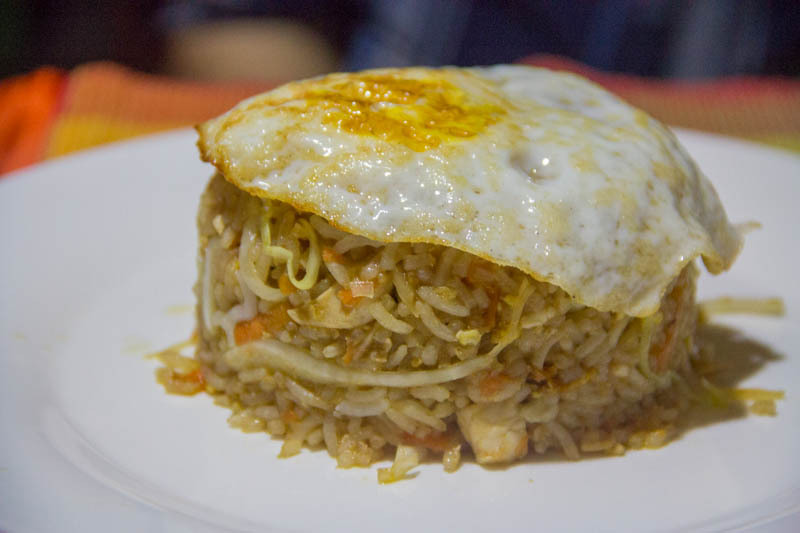 Some restaurants listed on Google Maps were no longer around. 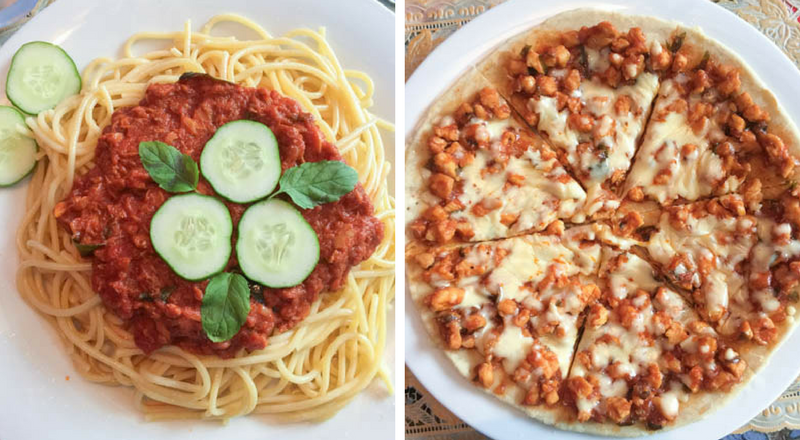 We managed to try 2 restaurants: Pilot Whale Café and Green Leaf Garden Restaurant. In my opinion, Green Leaf is better than Pilot Whale. 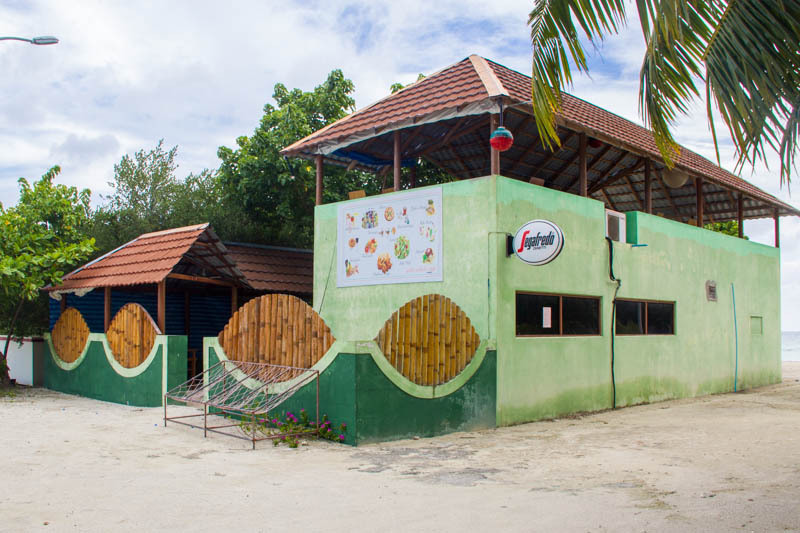 Food is not cheap in Hangnaameedhoo. Well, food in other islands in Maldives is not cheap, either. 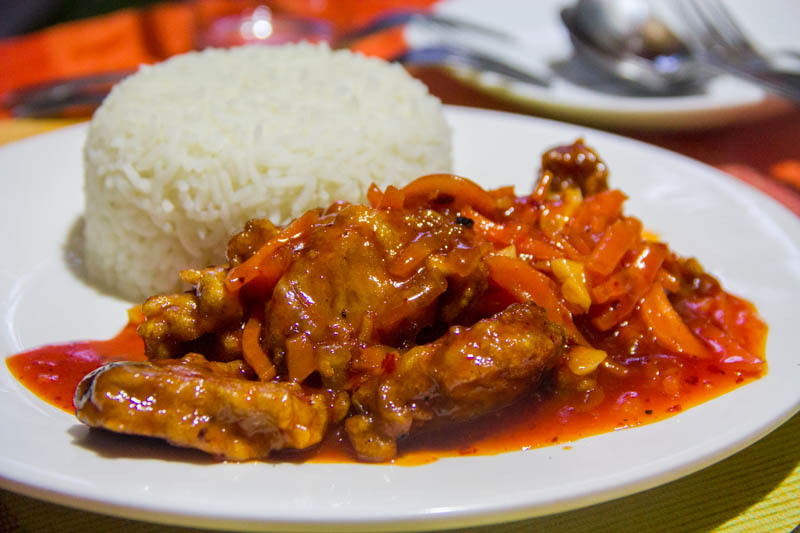 The cheapest dish costs around USD 5 (MVR 75). Chickens are imported so do not expect cheap and fresh chicken meat. Most restaurants provide a big bottle (1.5L) of mineral water; some charge you for it, some don’t. 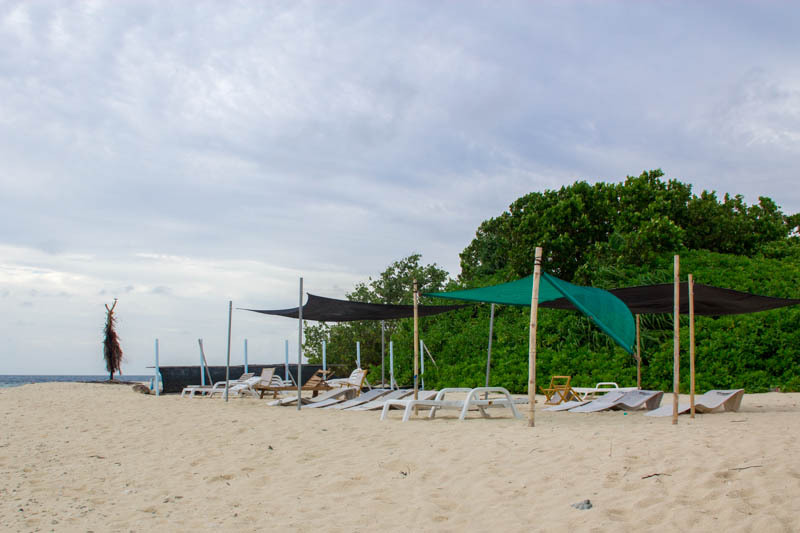 There’s a small stretch of bikini beach with sunbeds and overhead netting. It’s just 5 mins walk from our guesthouse. Sometimes, we had the beach to ourselves, other times we shared with other groups. Even though it’s a bikini beach, locals are also swimming nearby, so we decided to cover up. 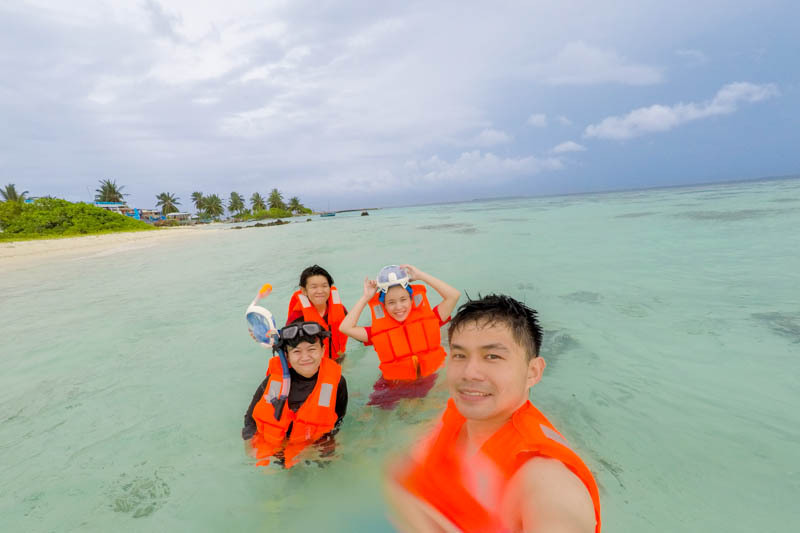 We rented snorkel equipment (life jacket, mask, fin) from our guesthouse for USD 10/day. 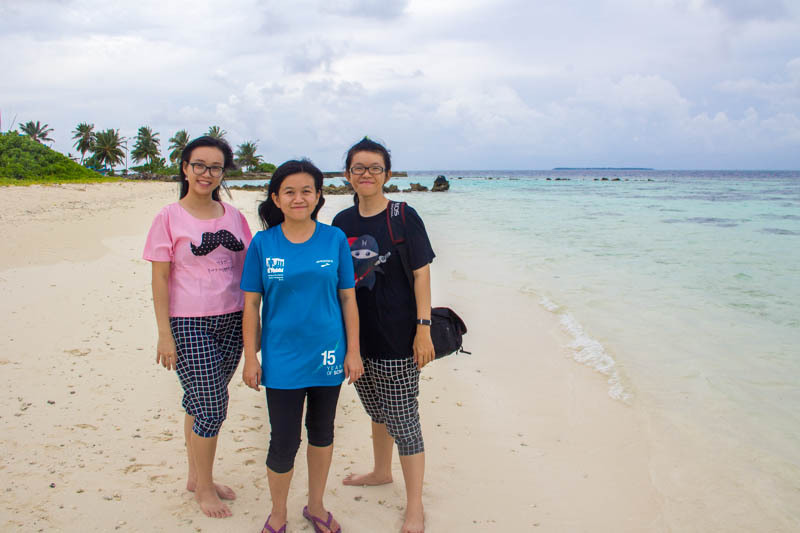 It was the first time my two sisters did snorkelling so we had to teach and guide them. It felt great to show my sisters that they can snorkel too. 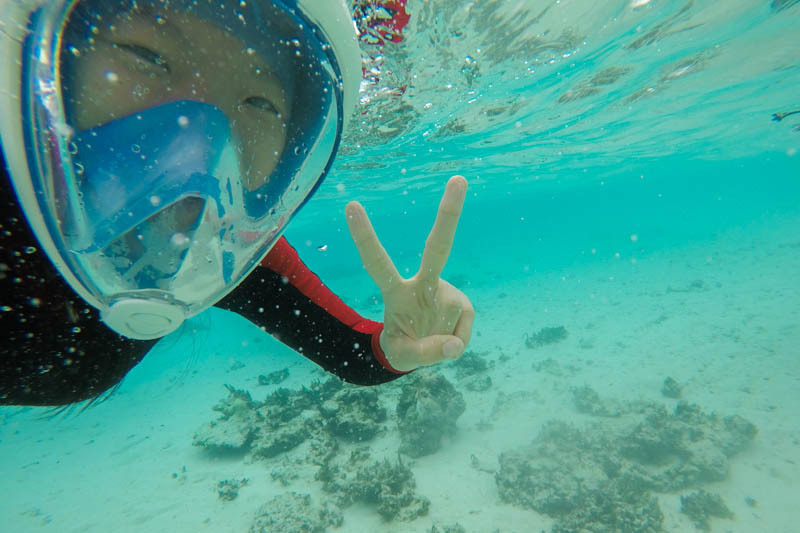 Yep, my sis can finally snorkel! The water is clear with different shades of blue. The seabed near beach consists of sand with occasional corals. 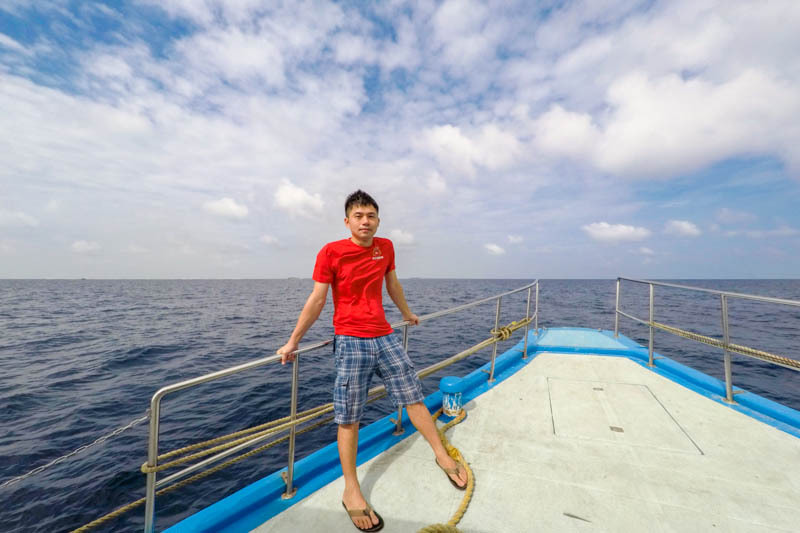 There are fish swimming around the corals and we were so stoked. The wave was mild most of the time. We took a couple of underwater narcissistic photos just because we have the waterproof GoPro Black 5! We didn’t venture far from the beach as we were afraid of being carried away by the wave. It was the rainy season. When the wind started to blow strongly, and the clouds turned dark, we knew they were signs of an upcoming storm. 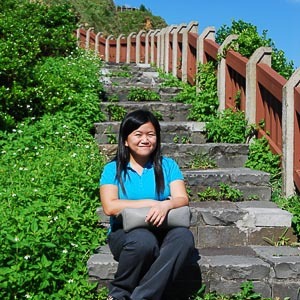 We would sprint to the beach, pack our belongings and quickly return to our guesthouse. 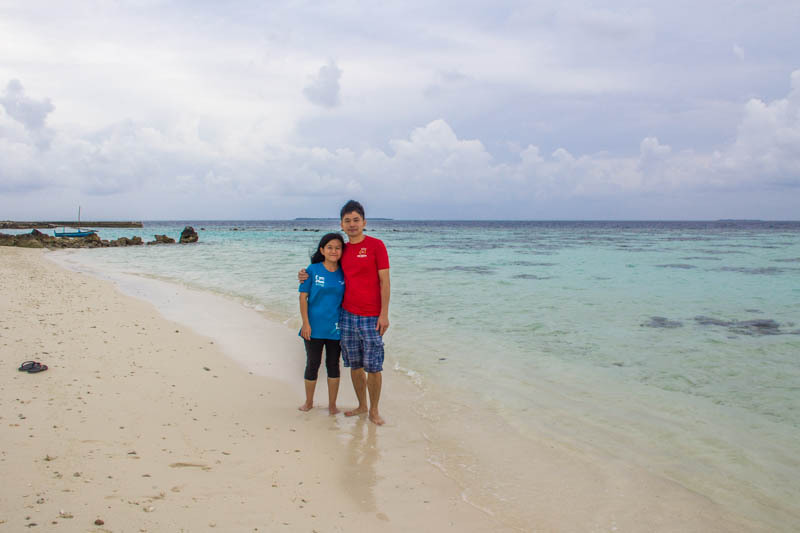 If it wasn’t for the weather, we would’ve snorkelled the whole day. And now, I really miss swimming and snorkelling in Hangnaameedhoo! Because we went there during low season, it rained a lot! Like, 2 out of 3 evenings we were there! It was miserable to stay in the room with nothing much to do except talk to each other, use phone and laptop. Even if we were to go out with an umbrella, there is no fancy café where we can sit down and gossip over coffees. If you choose to go in the low season, be prepared mentally that rain will make your days boring and cancel your excursions. After three nights, we were ready to move on. To go back to Malé, instead of the public ferry, we opted for the 1.5 hrs speedboat. The speedboat ferry leaves at 7:30 a.m. Early morning, the guesthouse staff knocked on our door to make sure we’ve woken up. After breakfast, we did final packing, checked out and made our way to the north harbour. The staffs transported our luggage and bags to the jetty with a wheelbarrow. The speedboat is fully covered with tarps on the sides to prevent the splashing water from getting in. That leaves very little air circulation in the cabin. In the first few minutes on the boat, I already knew it’s gonna be a challenging ride. True enough, both my hubby and I threw up! Damn, it was a hell of a ride! By the time we arrived at Malé at 9 a.m., both of us were traumatic with this thing called speedboat. 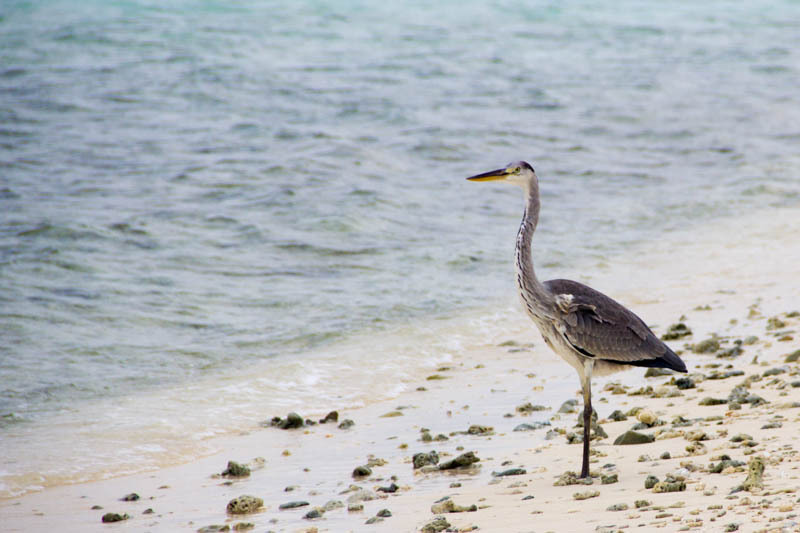 If you are sick of the civilization and want to go somewhere quiet, with cheap accommodation and crystal-clear water, yes you should visit Hangnaameedhoo. 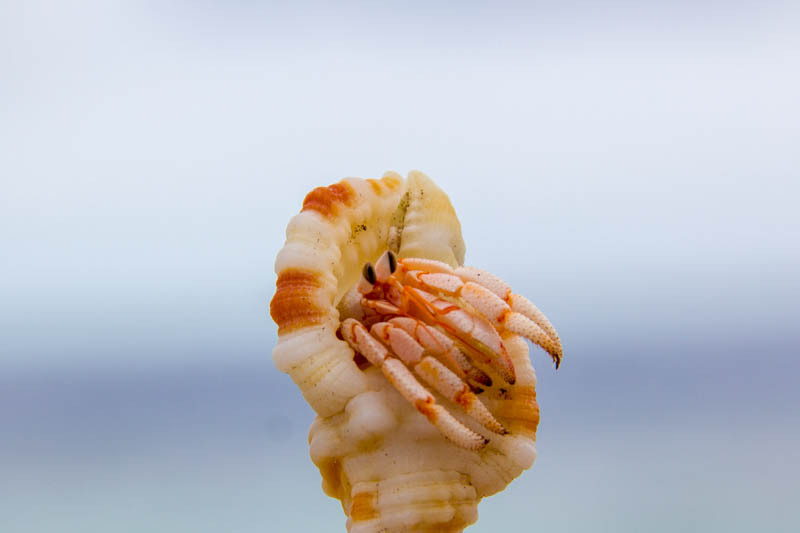 On the other hand, if you love places where you can find a wide variety of restaurants, numerous tour providers (so that you can compare prices), lively beach with no crabs roaming around, hordes of tourists, not so crystal-clear water, Hangnaameedhoo is not exactly the place you’ll treasure. That place would be Maafushi, which is the island I’m visiting next! 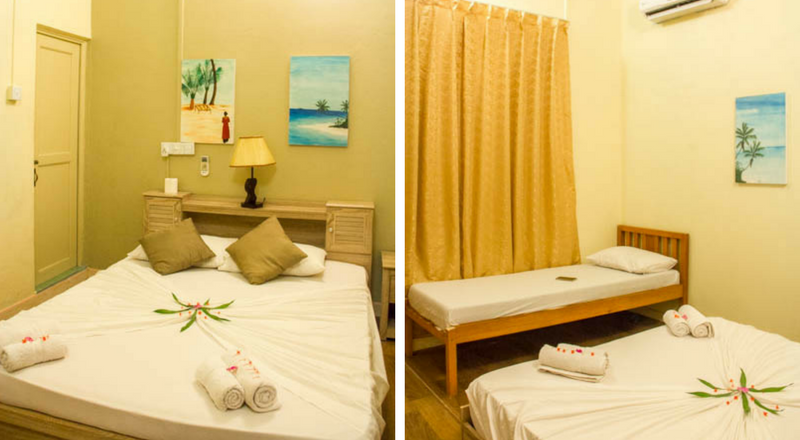 Despite being a small island, Hangnaameedhoo offers quite a variety of guesthouses. 1. 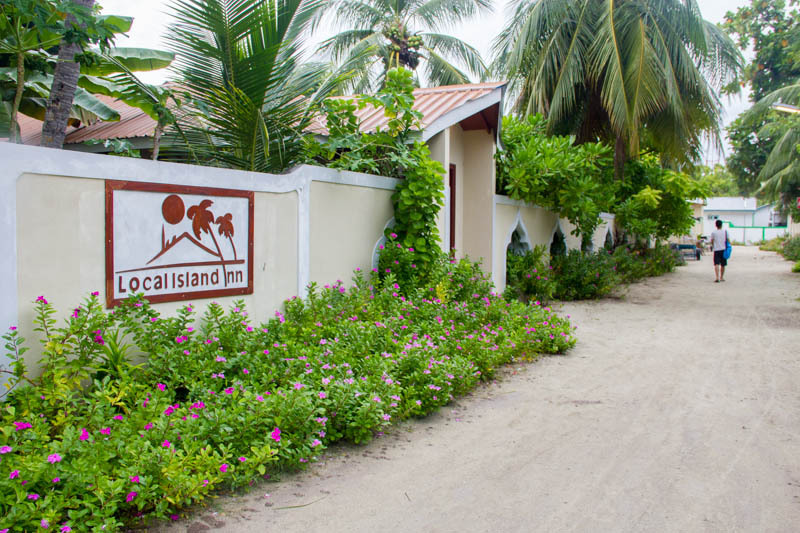 Kalaafaanu Retreat, probably the cheapest guesthouse in Hangnaameedhoo. 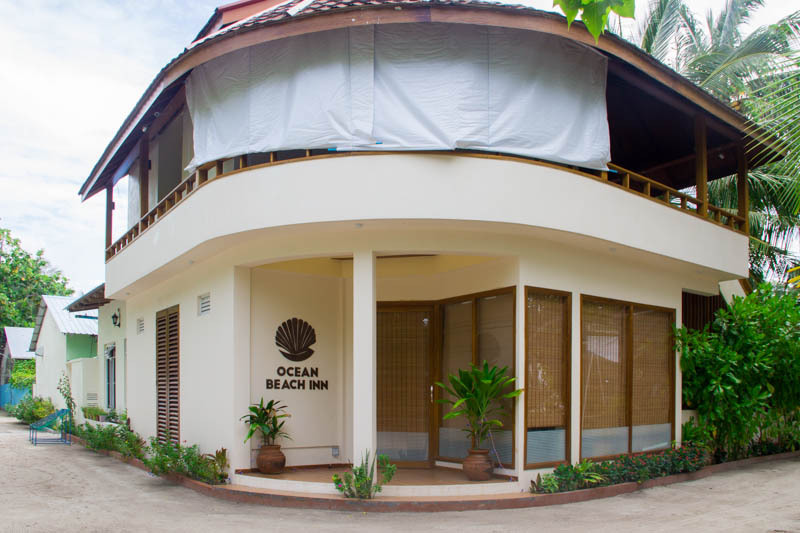 We stayed here for 3 nights, the service was great, the host was friendly and helpful, the grilled fish was out of the world! 2. 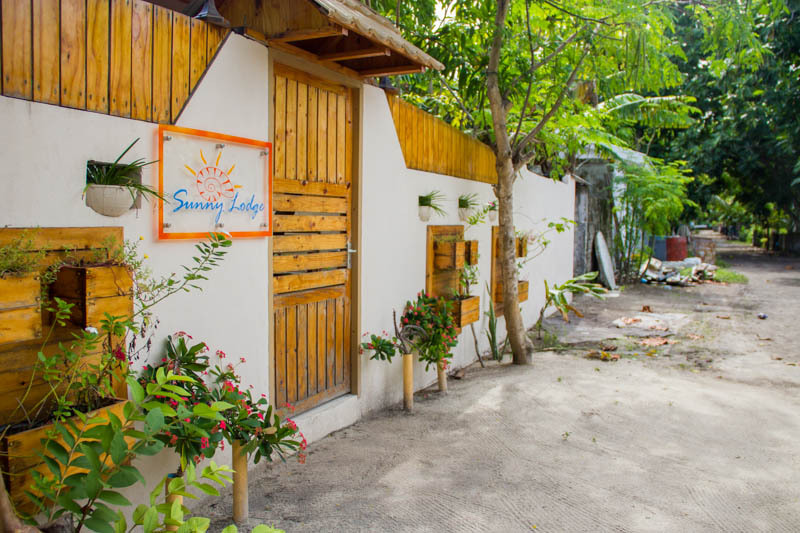 Sunny Lodge, a sister property of Kalaafaanu. 3. 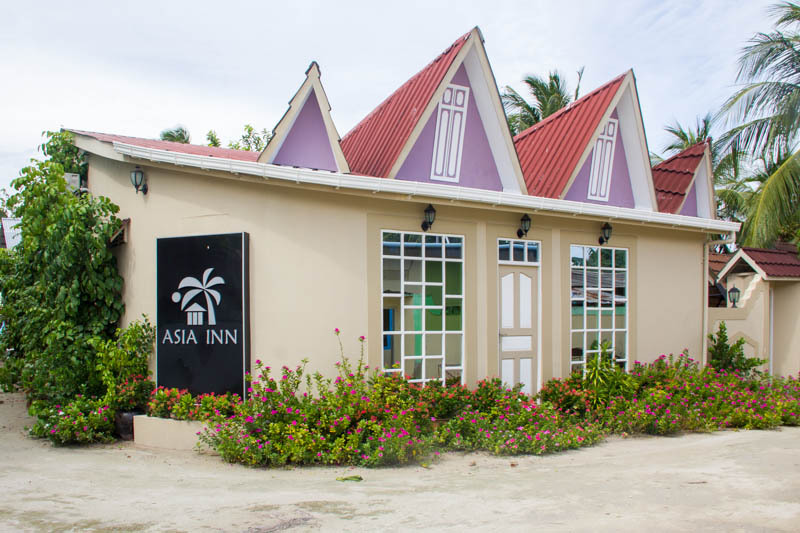 Asia Inn Villa Retreat, probably the most stylish guesthouse on the island. Disclosure: Some links in this post are affiliate links. If you make a booking/purchase with my links, I will receive a commission, but you are still paying the same price. Thank you for your support. Glad you find my blog useful! I’m not sure about poisonous fish, I didn’t encounter any when I went snorkelling there. Hope you have a good time!